Are You Facing Suspended or Revoked License Because Of Traffic Tickets? Have you been caught driving with a suspended or revoked license? If so, be sure to hire an attorney who is experienced with fighting traffic tickets. Driving with a suspended or revoked license requires an experienced lawyer, offering you the best chance of getting the charges overturned or, at the very least, keeping your fines to a minimum and getting your license reinstated as quickly as possible. When a driver is pulled over for an unrelated traffic offense like speeding, an officer may discover they don’t have a valid license. The penalty for being pulled over for a different traffic offense and having a suspended license is $500. Repeated traffic stops when driving with a suspended license may be bad luck for a driver, but it’s a tougher penalty than being pulled over once. The crime is a class B misdemeanor and punishable by 180 days in county jail and $2,000 fine. The driver can also be charged with this type of misdemeanor when they lack valid insurance or their driver’s license was suspended for DWI. If a driver operates a motor vehicle with a suspended license and injures another person, it’s a Class A misdemeanor. This is the most serious misdemeanor because the driver can face a year in county jail and pay a $4,000 fine. 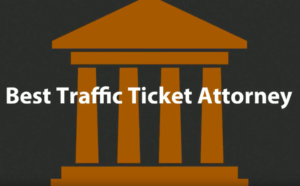 While there are no guarantees that you will be able to avoid these penalties, hiring a lawyer who specializes in suspended or revoked license traffic tickets will provide you with the best chance to avoid these costly problems. By hiring an experienced lawyer to fight driving with suspended or revoked license charges, you can be certain the attorney you work with has the knowledge and experience necessary to adequately defend your case. After all, with your money and so much of your freedom at stake, you don’t want to trust your case to an attorney who isn’t experienced in this specific area of the law. The state of Texas has very strict traffic laws, including those that relate to driving on a suspended or revoked license. While these laws are in place for the safety of everyone on the road, there are certainly times when they are applied incorrectly. If this happens to you, and driving with a suspended or revoked license becomes a problem for you, it is essential for you to find an experienced lawyer who can help with your case. Television and Yellow Pages are filled with advertising by attorneys claiming expertise particularly for personal injury claims. While attorneys are allowed to advertise this is certainly not a guarantee that they actually possesses any recognizable expertise in the trial of injury claims. After all – anyone can buy a slick ad. In an effort to assist consumers, we have put together a list of questions you need to ask and have answered before you decide to hire a personal injury attorney. Does the attorney who will be handling my case have sufficient experience and competence in the trial of injury cases? What is the name of the attorney who will be primarily handling my case? When was that attorney licensed to practice law? How many injury cases have they actually tried in a court? Is there anyone else in your community (including local courtroom personnel) familiar with the attorney’s work and what is their impression of his/ her abilities? Has the attorney lectured or taught other attorneys in the area of personal injury or insurance law or had articles published in continuing legal education materials or law journals? What is the attorney’s rating with Martindale-Hubbell or other peer review organizations? You can find out much information about attorneys from Martindale-Hubbell Law Directory which appears online at www.martindale.com. There you can find ratings of an attorney’s legal ability and professional ethics made from the confidential opinions of the people who come into contact with them most frequently – other attorneys and judges. Will the attorney who will be handling my case be available to meet and confer with me or will my case be delegated to non-attorney staff members? Some law firms, particularly those who advertise quite heavily, seek to delegate a great majority of the handling of injury claims to non-lawyer staff in an effort to maximize the volume of cases they can handle with the fewest number of lawyers. Thus, with such “volume” law firms, clients often say that they have very little if no personal contact with an actual attorney during the representation. Will the attorney (rather than a paralegal) agree to meet with you face -to-face and answer your questions before asking you to sign papers hiring them? Does the attorney regularly work at an office convenient to your community? Does the firm solicit injury cases from a large area? Does the firm have more “satellite” offices than attorneys? How many non-attorneys are employed by the firm compared to the number of attorneys? Is the amount of the contingent fee which the firm proposes to charge the same percentage even if the case can be settled without filing a lawsuit? Another characteristic of many “volume” firms, because of the tremendous expense of advertising, is that they will charge a contingent fee of one-third of the gross recovery even if the case is settled before a lawsuit is filed. Without prior experience, many consumers are unaware that many local attorneys with vast experience in handling injury claims have for many years used a two-tiered contingent fee structure by which the fee is only one-fourth of the gross recovery if the case can be settled before a lawsuit has to be filed which increases to one-third only after a lawsuit is filed. Neither of the above contingent fee structures are necessarily unreasonable so it is up to you to decide whether the attorney who charges the higher fee is the right one for your case. Will the attorney explain specifically how the contingent fee is calculated? How does the contingent fee compare with that charged by other attorneys in your area? From my meeting with the attorney and from what I have learned from other people and sources, do I feel I can trust this attorney to act in my best interest? What we learn from our own personal contact with them. The decision to hire an attorney should be made on the same basis as you use to evaluate a person’s trustworthiness in everyday life. Are there other people in your community who are familiar with and can vouch for the trustworthiness of the attorney or law firm? What are your own impressions from your personal contact with the attorney? You should hire an attorney only after a face-to-face meeting in which you satisfy yourself that the attorney answered your questions candidly and honestly, you felt comfortable with the relationship personally, and you were satisfied that the attorney had sufficient experience and competence and would be sufficiently available to you to be the right attorney for you and your particular case.